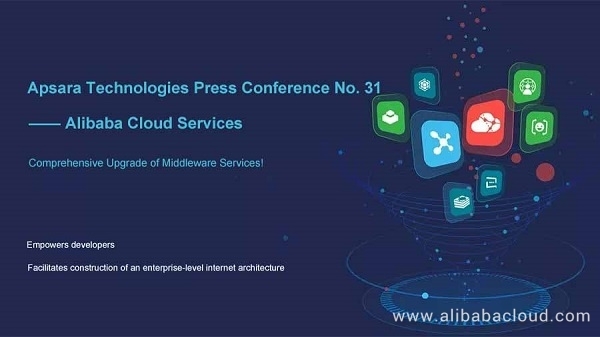 Alibaba Cloud Middleware services has been upgraded comprehensively, to facilitate the construction of an enterprise-level internet architecture. Many businesses are facing various challenges when it comes to IT because traditional IT architecture is unable to meet existing business needs. Often times this situation is worsened by the lack of a professional and business-oriented architecture for enabling microservices, as well as a lack of development resources to address application access, system compatibility, and performance problems. These combination of factors lead to complicated O&M problems that cannot be solved immediately after an enterprise-level Internet architecture is put into use, resulting in flooding business complaints. To address these issues, Alibaba Cloud Middleware has recently upgraded its services comprehensively to facilitate developers in building enterprise-level Internet architectures for middle- and small-sized enterprises. This comprehensive upgrade covers Enterprise Distributed Application Service (EDAS), Application Real-time Monitoring Service (ARMS), Performance Testing Service (PTS), Tracing Analysis, Alibaba Cloud Toolkit for Eclipse, and Application High Availability Service (AHAS). EDAS provides a complete runtime environment for microservice frameworks Dubbo and Spring Cloud, which can be deployed directly on EDAS without modifying any Java code. 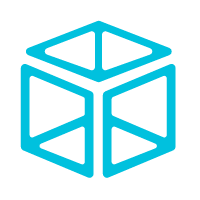 Enterprises can then take advantage of standard open source frameworks while at the same time enjoying enterprise-level ease-of-use and stability. ARMS implements revolutionary 3D topology monitoring. This is the first-ever feature in the industry that integrates nodes, applications, and service interfaces into one topology and displays all performance bottlenecks and faulty nodes directly, without the necessity of drilling down or jumping. In addition, ARMS refreshes the global architecture status in seconds and responds to faults in real time. 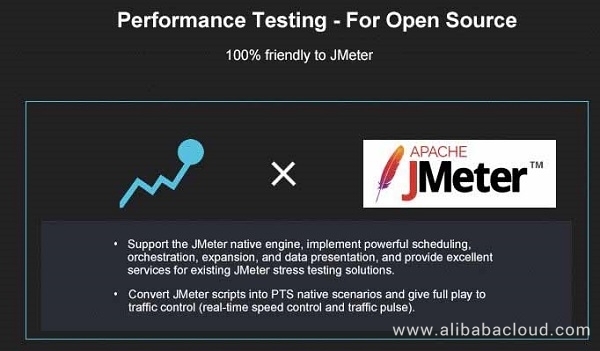 Performance Testing Service supports the JMeter native engine, implements powerful scheduling, orchestration, expansion, and data presentation, and provides excellent services for existing JMeter load testing solutions. In addition, Performance Testing Service directly converts JMeter scripts into native Performance Testing scenarios and gives full play to traffic control. The in-house Performance Testing Service supports visualized orchestration of load testing process without coding and allows cloud recording, which simplifies user operations and better adapts to stress testing scenarios in the mobile Internet. 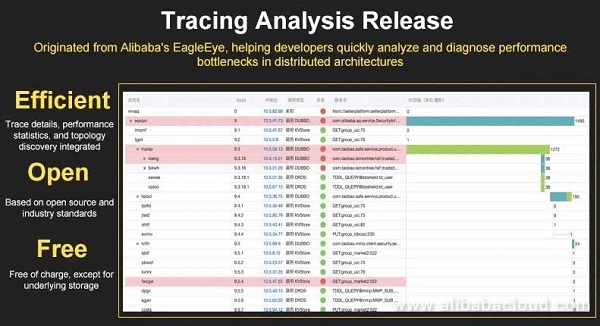 Tracing Analysis tracks all microservice requests in a distributed architecture and forms a distributed call trace, and is able to query, diagnose, and summarize in real time the application performance of a single service or resource of an application in distributed traces. 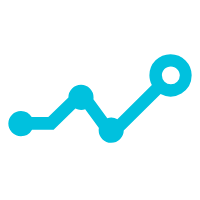 The collected trace data is used for log analysis and is available on downstream analysis platforms for offline analysis and alarming, enhancing the value of trace data. In addition, Tracing Analysis complies with the OpenTracing standard, improving the availability and robustness of tracing systems. 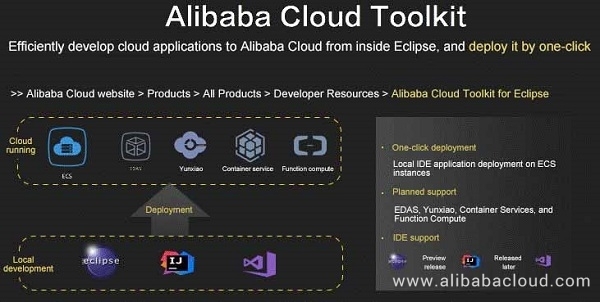 Alibaba Cloud Toolkit for Eclipse helps developers efficiently develop, test, and deploy cloud applications to Alibaba Cloud from inside the Eclipse IDE, making it easier to develop cloud native applications (CNAs). With Alibaba Cloud Toolkit for Eclipse, developers can easily switch among accounts and deploy a CNA to the specified ECS directory as a JAR or WAR file. They can specify the target instances for the deployment in a list displayed on the graphical user interface. Alibaba Cloud Toolkit for Eclipse outputs standard deployment logs in real time. Application High Availability Service (AHAS). AHAS is the industry's first SaaS service to improve the high availability of applications. It provides automatic detection of the application architecture, fault-injection high availability evaluation, and one-click application traffic limiting and degradation, which allow users to quickly enhance application availability in a cost-effective manner. 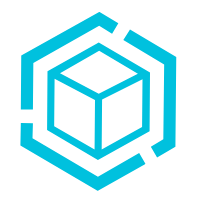 Through AHAS, developers can automatically detect application architecture components and dependencies, and build architectural topologies covering mainstream third-party components and Alibaba Cloud's most services, authentic online fault types, and drill models. In addition, it offers you the protection measures, including traffic degradation protection that has passed technological tests in Double 11 Shopping Festivals.